Earthworms and Marmalade: Get Free Advice From Food Growing Experts, Especially Food-Forest Gardener, John Valenzuela! Get Free Advice From Food Growing Experts, Especially Food-Forest Gardener, John Valenzuela! Food Growing Summit 2014 - Grow Food Now! I'm always looking for ways to improve my self-sufficiency as a backyard gardener, and coming on March 3-7 is a FREE Tele-Summit with backyard food growers, farmers and urban food activists, like Will Allen, Ocean Robbins, Joel Salatin, Vandana Shiva, Erika Allen, John Valenzuela, Stacey Murphy! I'm really interested in learning more about growing a Food Forest. There's been a lot of talk out there lately about Permaculture, and I'd like to learn more about implementing it in my own yard! As luck would have it, an expert on growing a Food Forest is giving a talk during this summit: John Valenzuela!! 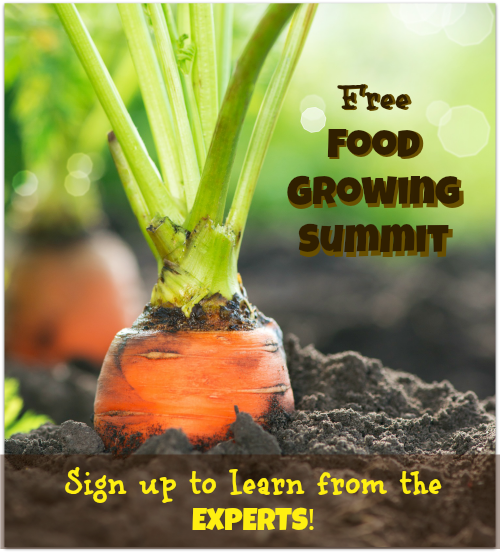 Sign Up For the FREE Food Growing Summit! Click here to learn more and reserve your seat for the Food Growing Summit 2014 now.